The Dortmund captain is a big fan of Gerrard. Borussia Dortmund captain and Manchester United transfer target Mats Hummels is a huge admirer of Liverpool skipper Steven Gerrard. FIFA 15 most improved players. Top 50 most valuable players in the world. Top 15 most loyal players in the Premier League. Hummels was strongly linked with a big money move to Old Trafford this summer, but turned down the opportunity and has admitted this is because he admires ‘one club players’ like Gerrard. “There are some [who stay at one club for their whole careers], and they are all really great players,” the Germany international was quoted by the Guardian. “Paolo Maldini of Milan, for example, or Steven Gerrard. Having been given the armband at the Signal Iduna Park it’s clear that the club means more to Hummels than just money, as the Red Devils could certainly have offered the defender higher wages. However, having been rejected by Bayern Munich as a youth player and than having faith put in him by Jurgen Klopp the 25-year-old clearly feels he should repay that. 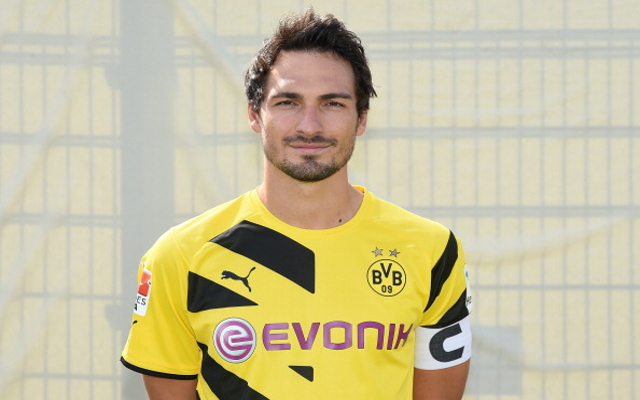 Since joining Dortmund in 2008 (initially on-loan before making it permanent 12 months later) Hummels has played 229 times for the Bundesliga club in all competitions and has won two German titles and reached the Champions League final in 2013.